NOTICE: Activation key must be used on a valid Steam account, requires internet connection. ABOUT THE GAME Be the hero in your own cinematic epic of action, tension and terror. A mysterious paramilitary force infiltrates a multi-billion dollar aerospace compound, taking hostages but issuing no demands. The government responds by sending in a Special Forces team only to have them obliterated… . Live footage of the massacre shows an inexplicable wave of destruction tearing the soldiers apart. With no other recourse, the elite F.E.A.R. (First Encounter Assault Recon) team is assembled to deal with the extraordinary circumstances. They are given one simple mission: Evaluate the threat and eliminate the intruders at any cost. KEY FEATURES Hyper-stylized combat for breathtaking cinematic quality action Gripping supernatural storyline for spine-tingling intensity of play Advanced graphics and physics for visceral movie-like experience Enemies with special abilities and A.I. so intuitive it’s like battling living, breathing players To access the Multiplayer portion of F.E.A.R., you must register for a free CD Key on the Warner Bros website. 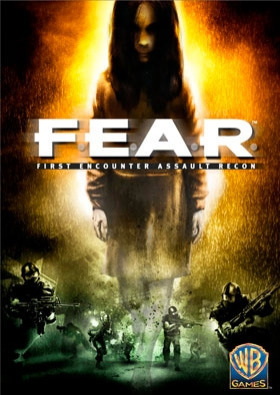 http://projectorigin.warnerbros.com/fearcombat/main	SYSTEM REQUIREMENTS Minimum : OS : Windows XP / x64 / 2000 CPU : Pentium 4 1.7 GHz RAM : 512 MB GPU : Gefroce 4 64 MB / Radeon 9000 DirectX : 9.0 HDD : 5 GB Recommended: CPU : Pentium 4 3 GHz RAM : 1 GB GPU : Radeon 6800 Pro 256 MB / Geforce 6600 DirectX : 9.0 HDD : 5 GB F.E.A.R. software © 2006-2010 Warner Bros. Entertainment Inc. Developed by Monolith Productions, Inc. F.E.A.R. : Perseus Mandate and F.E.A.R. Extraction Point developed by TimeGate Studios, Inc. All other trademarks and copyrights are the property of their respective owners. All rights reserved.F.E.A.R. and all related characters and elements are trademarks of and © Warner Bros. Entertainment Inc. WB GAMES LOGO, WB SHIELD, MONOLITH and MONOLITH logo: ™ & © Warner Bros. Entertainment Inc.